We occasionally have part-time or contract positions available for individuals with specific skills (construction, electrical, plumbing, roofing). If you have these skills and are interested in casual part-time work please contact us. Experience or training with photovoltaic systems preferred. Below is a sample of what the position involves. experience with electrical work, plumbing and project management would also be helpful. Vancouver Renewable Energy (VREC) sells, installs and provides consulting services for renewable energy systems. We specialize in designing and installing solar photovoltaics, solar hot water, solar pool heating, and wind turbine energy systems. 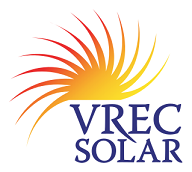 Incorporated in 2004, VREC is the most experienced solar photovoltaic installer in the Lower Mainland, having installed the first grid-tie photovoltaic systems in the cities of Vancouver, North Vancouver, Mission and Langley. We have built our reputation on providing practical solutions and accurate expectations of what renewable energy systems can provide. VREC is a for-profit, employee-owned cooperative. Our employees operate in a collaborative environment, help to contribute to decisions made on behalf of the cooperative, and assume equal responsibility for achieving our goals. VREC is a value based business that works to have a positive impact within local communities.